who plays Firth's wife in the film. 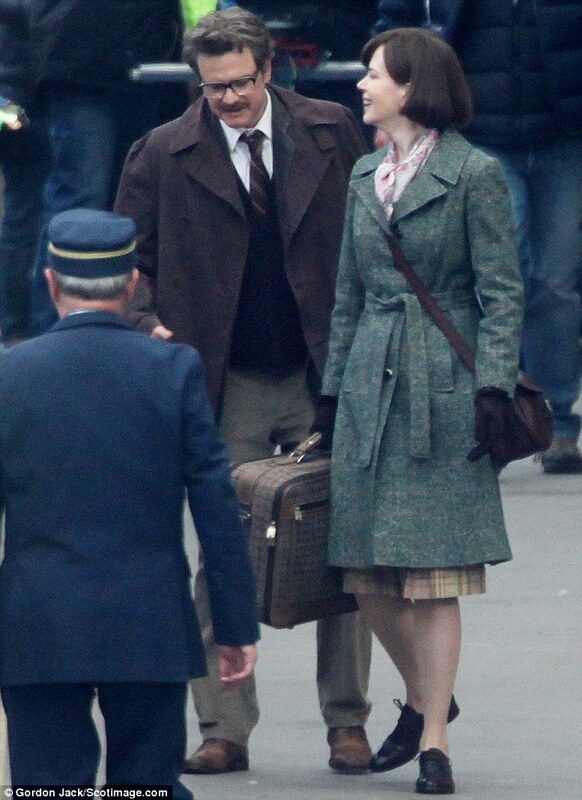 Colin Firth has admitted that the beauty of Queensland did not make the process of getting into character for his latest film, The Railway Man, any easier for him. "It's a little hard to get yourself in the mindset of a tortured person when you are surrounded by paradise... it's just been bliss," Firth said of the Surfers Paradise Glitter Strip. Some welcome praise for the nightlife capital after what seems like years of only bad reputation building. 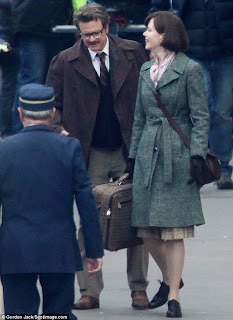 The Railway Man began shooting in southeast Queensland earlier this month after initial filming took place in Scotland and Thailand. British producer and co-screenwriter of the film Andy Paterson said southeast Queensland was used in the film for its visual similarities to Singapore, while Ipswich in particular was selected for the North Ipswich rail yards, and the POW camp scenes will be filmed in the Gold Coast Hinterlands (the home of the Satchel). Though Firth light-heartedly spoke of his acting distractions, he is completely aware of the seriousness of his role. The film tells the true story of Eric Lomax (played by Firth), a British prisoner of war who was forced to work on the Thai/Burma railway during WWII, who returns to the Bridge over the River Kwai to confront his Japanese tormentor, Nagase (played by Hiroyuki Sanada). "It's very much incumbent on you to be as honest and truthful as you can, because you are dealing with someone's story in your hands," Firth said. "It took many decades for [Lomax] to be able to tell his story - it cost him a great deal to do it." Firth has now finished filming his scenes in Australia, but filming will continue in Queensland for the next three weeks. Some of Japan's most fragile and historically important art arrived in Sydney last week, ready for the Art Gallery of New South Wales' opening of Kamisaka Sekka: Dawn of Modern Japanese Design, an exhibition tracing the history of the enduring Rinpa school of Japanese art. 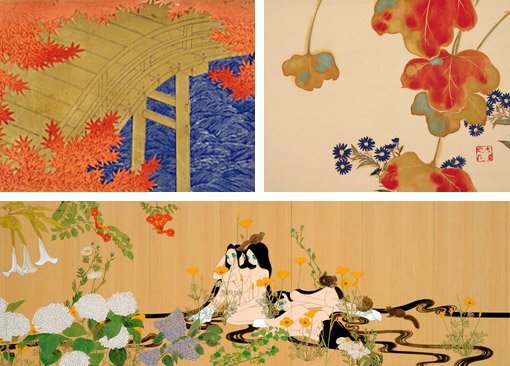 More than 100 works – some more than 400 years old – were lent by Kyoto's Hosomi Museum and shipped in a climate-controlled environment to the AGNSW. The exhibition will focus on Kamisaka Sekka, a 19th-century artist who is widely acknowledged for saving the Rinpa tradition from obscurity, with the highlight of the show being two fragile ink and silver paintings from the early 17th century, by Rinpa founders painter Tawaraya Sotatsu and calligrapher Hon'ami Koetsu. "They are very, very rare and must be handled with extreme care," says curator Khanh Trinh. "They are very, very sensitive to light. They need to be kept in a very stable climate, at a temperature between 20°C and 25°C, with an optimal humidity of 55 to 60." These two pieces are so rare that the Japanese Ministry of Education and Culture dictates that they can only be viewed for two months every year, and only four weeks consecutively. In keeping with this, the paintings will be displayed in rotation, with the exhibition being halted for two days in the middle of its run so that the works can be changed over. The exhibition opens tomorrow (June 22) and also features Rinpa-inspired dresses by Kyoto-born Australian designer Akira Isogawa, as well as hanging scrolls, folding screens, paintings on fans and ceramics. The National Sports Museum in Melbourne has commenced its exclusive exhibition of Olympic posters titled A Call to the Games: Olympic Posters until September 16. 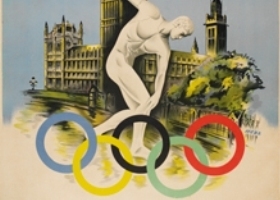 One-hundred posters, from London's Victoria and Albert Museum, offer a fascinating political record of our world, four-yearly snapshots from across more than a century of Olympic Games, through which we can explore the links between sports, art, politics, place, commerce and culture. From 1851, before the modern Olympic Games were founded, through to campaign posters for London's Olympic bid, the posters provide insights into the ways that different nations and cities have chosen to represent themselves to the world. The posters illustrate many themes across time: Olympic ideals, politics, war and peace, and diverse schools of art and design. Germany's 1936 poster for the Winter Games, for example, depicts a red and black male figure who appears to be giving the Nazi Salute, with the Olympic rings across his chest. The Games were awarded to Berlin before Hitler came to power, and by the time they came around, the Nazis were in control and the Olympics had become a propaganda tool. Coincidentally, a fictional account of the lives of anti-Hitler activists in pre-war Berlin and London by Anna Funder has won the Miles Franklin Award, announced at the State Library in Brisbane last night. Funder's debut novel, All That I Am, which follows on from her award-winning work of non-fiction, Stasiland: Stories from behind the Berlin wall, Funder took the opportunity to lambast Queensland's new premier, Campbell Newman, for axing the state's Premier's Literary Award. "I don't really think they are the Premier's to scrap. It's the people's money and the people want to have this recognition of the writers who reflect their world back to them," she told the ABC from the UK where she is currently on tour. "I have spent my professional life studying totalitarian regimes and the brave people who speak out against them. And the first thing that someone with dictatorial inclinations does is to silence the writers and the journalists. I don't think Campbell Newman is doing that, I think he's dog-whistling to people who want to see so-called left-wingers silenced or something. But I don't think writing is particularly political in a left wing or a right wing way, and I think it's a shame for Queensland and a shame for Australia." With Julian Assange seeking refuge this week in a foreign embassy, and journalism itself in a state of flux, the silencing of some voices (whether irritating or important; left or right of wing) and the dog-whistling of others is an interesting contemplation in an Australia that prides itself on democracy. Justine Clarke, be still our hearts, has announced a Pop Up Book Tour. The popular pre-schooler's entertainer of I Like To Sing and Play School fame is touring the country with a pre-Christmas stage-show treat to delight tiny tots nation-wide. 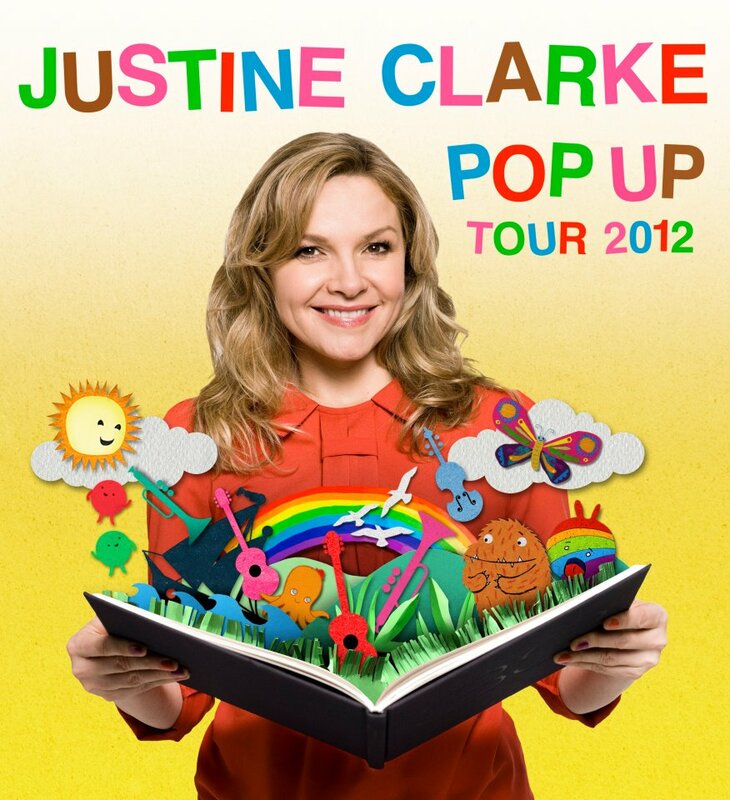 The show will feature a pop-up book theme, all Clarke's hits and a musical reading of her first book, The Gobbledygook is Eating a Book, which will be published by Penguin in October, all in a 55-minute showcase. Tickets for shows in Canberra, Sydney, Brisbane, Perth, Adelaide and Melbourne will go on sale at 9am on Monday June 25th. It's enough to make you go poppo.